Pic of the Day: My High School Track | Trace B. A few years ago I had to visit my hometown to attend a funeral. It was a sad day, but I finished the day visiting my old homes and schools. The town I grew up in, Taft, CA, was a very small town, but you would never have known by the wonderful schools, teachers, programs and facilities available to us. We were truly blessed. 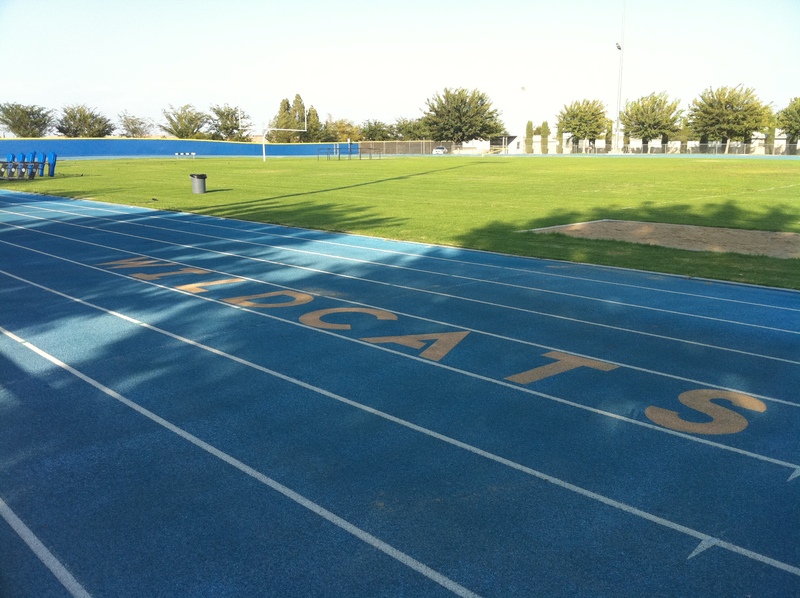 Here is a photo of our beautiful high school track where I learned a few lessons about racing and life. This entry was posted on August 15, 2013 by tracebee. It was filed under Pic of the Day .